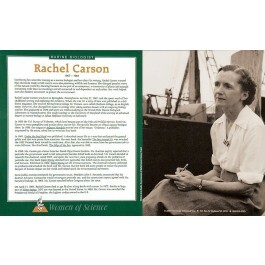 This poster of Rachel Carson is part of a series that features great women scientists. 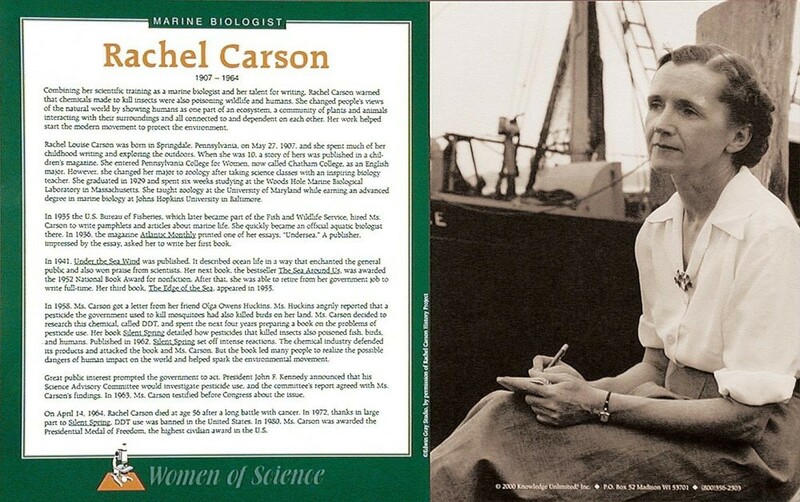 Ms. Carson was a marine biologist and nature writer whose highly influential works are said to have greatly advanced the global environmental movement. Her groundbreaking book "Silent Spring," published in 1962, led to a nationwide ban on DDT and alerted the public to the dangers of pesticides in the environment.